Our research program is now complete, and all of the analysis of our survey of 350 business and technology executives nationwide is now online. Taken together, this information offers key takeaways for companies pursuing their own cloud migrations. The briefing paper outlines the main findings from the survey. Our survey revealed that while cloud is fundamentally changing the nature of business processes and collaboration, companies lack migration strategies and lack metrics to measure their own success in the cloud—or the effectiveness of their cloud vendors. We then delved into the main findings with a series of short papers and infographics around each theme. 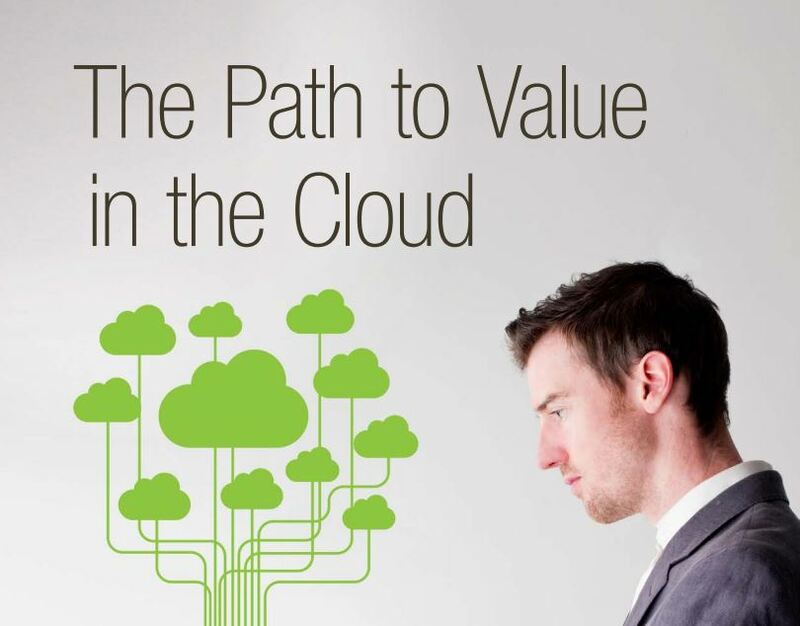 The first examines how cloud is influencing and driving business strategy. The key takeaways from our cloud strategy think piece can be found in this infographic. A second looks at the areas where companies are seeing the most value from the cloud (primarily collaboration and innovation)—and how they are measuring their success in the cloud. 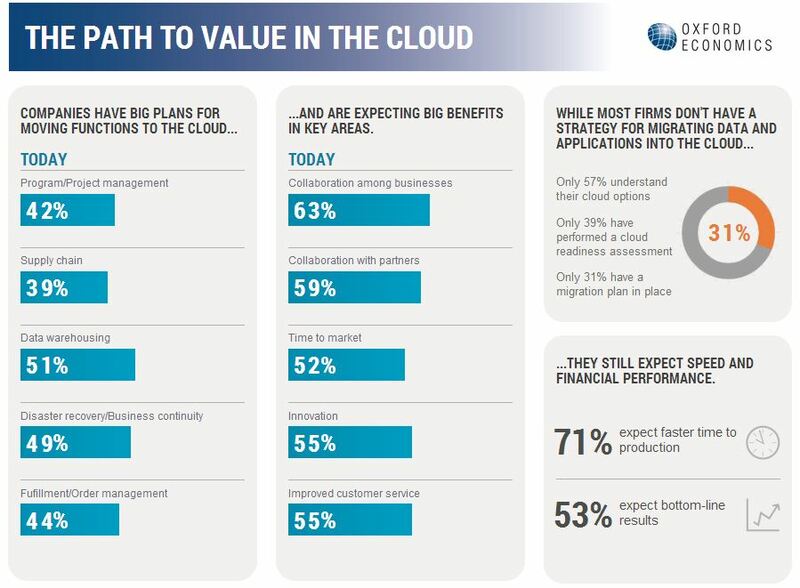 A snapshot of how cloud is driving business value can be found here. Our third think piece highlights a persistent issue in the cloud—security. Security remains top of mind, and these concerns will remain relevant as firms move more business functions into the cloud over the next two years. But companies aren’t prioritizing security when it comes to choosing a cloud vendor. These findings are summarized in this infographic. Finally, we detailed the characteristics and practices of those furthest along in their cloud migrations—Trailblazers. Trailblazers are seeing higher revenues and profit margins, and have more well-developed cloud migration plans. An infographic about Trailblazers can be found here. All of these research outputs can be found here. Our survey showed that cloud security is a top concern for companies migrating to the cloud. And with data breaches popping up regularly, this issue isn’t going away. This topic is fleshed out in our think piece on the topic, and this infographic shows some top-level findings. A key takeaway? Despite executive concerns about security, they haven’t assessed their own needs from cloud vendors or their own readiness, and they’re not emphasizing security when choosing providers. Our survey of 350 business and technology executives nationwide has led to some interesting, topical insights about what firms are moving into the cloud, what they look for in a cloud vendor, and their expected benefits in the cloud. Next week, we will be bringing you a new think piece and infographic about our “trailblazers,” firms that are far ahead in their cloud migrations. Stay tuned for that. In the meantime you can check out our briefing paper or any of the think pieces we’ve released so far. And, as always, we’ll be bringing you news, research, and insights here in the meantime. As the latest data breach imbroglio boils on, we have some data and insight into the importance of security on the path to value in the cloud. Our survey of 350 business and technology executives revealed that data security is a top concern when migrating to the cloud. The stakes are raised because collaboration is a major cloud benefit and companies are putting more and more data in the cloud. But despite their concerns, companies haven’t assessed their own needs from cloud vendors or their own readiness, and they’re not emphasizing security when choosing providers. For a more detailed look at the state of security in the cloud, check out our think piece on the topic.